We can easily understand a process if it has a step-by-step procedure or it follows a series of steps. That’s because human tends to comprehend a complex matter if it is broken down into steps and methods. Now, in the advanced pace of the world, we develop an effective technique to simplify the whole process. We called it a flowchart. 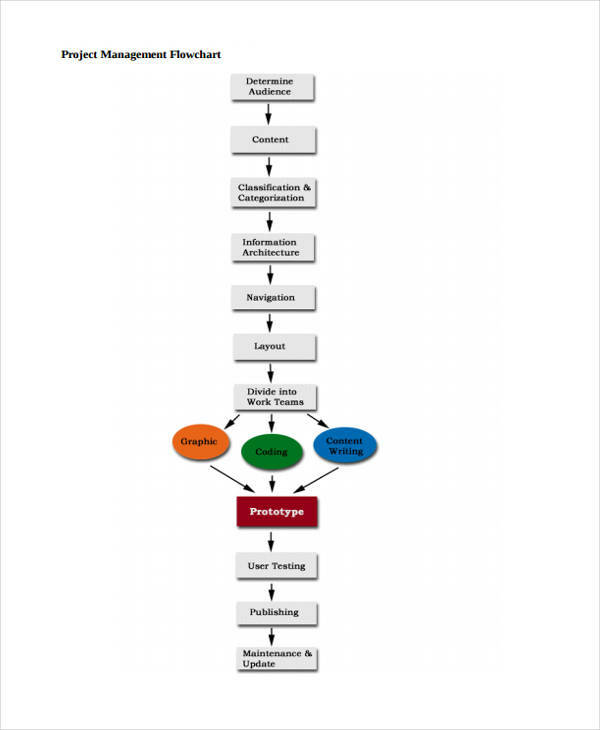 A flowchart is a diagram that shows a sequence of steps. 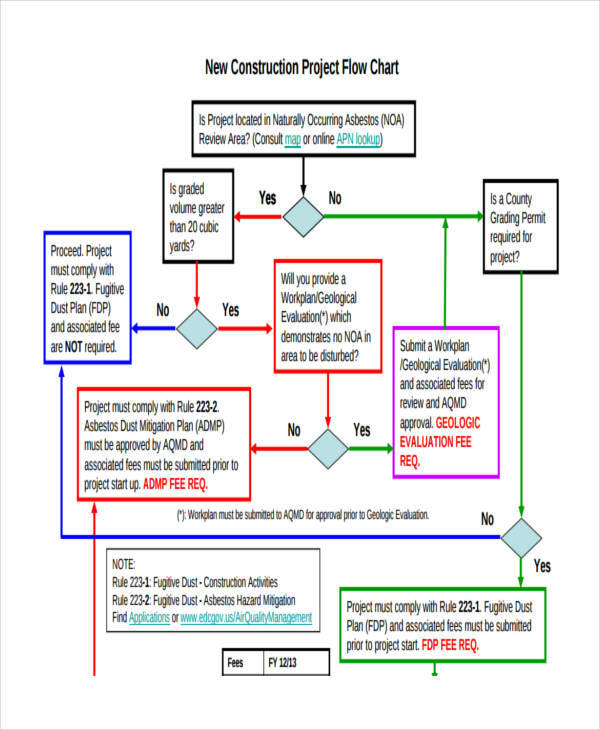 We use a flowchart in PDF to better understand something, especially if it involves a more complex procedure. 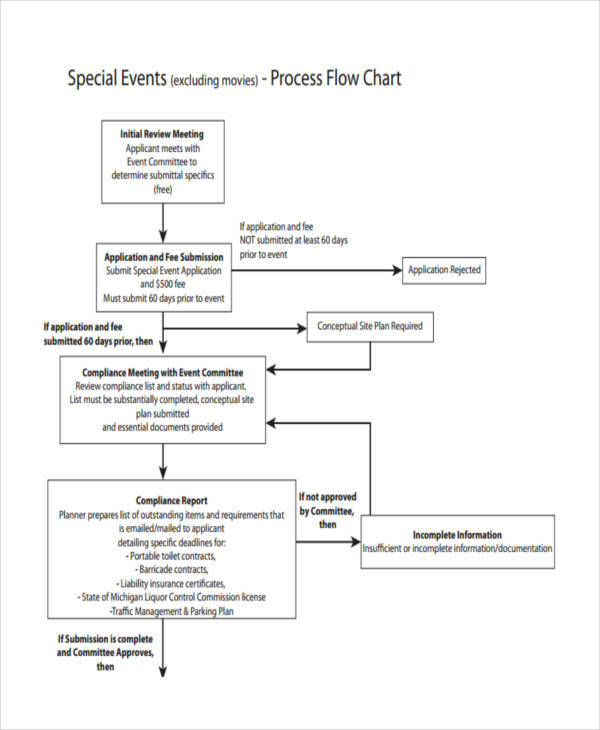 With the use of flowchart, the steps and process of a complex matter will be in a series of action. That way you will comprehend it more quickly. 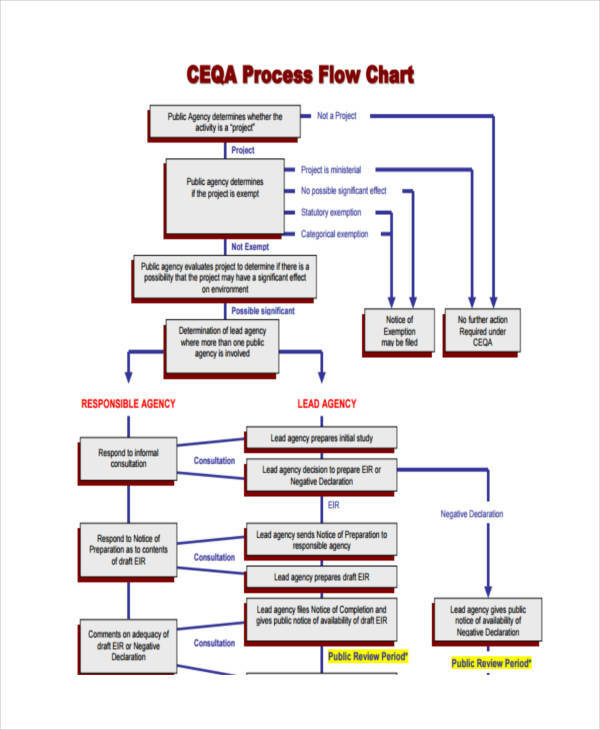 A basic flow chart is a diagram that shows the sequence of steps or actions needed to perform a process. Each step is represented by various kinds of a box with different shapes. The steps are connected by lines or directional arrows. 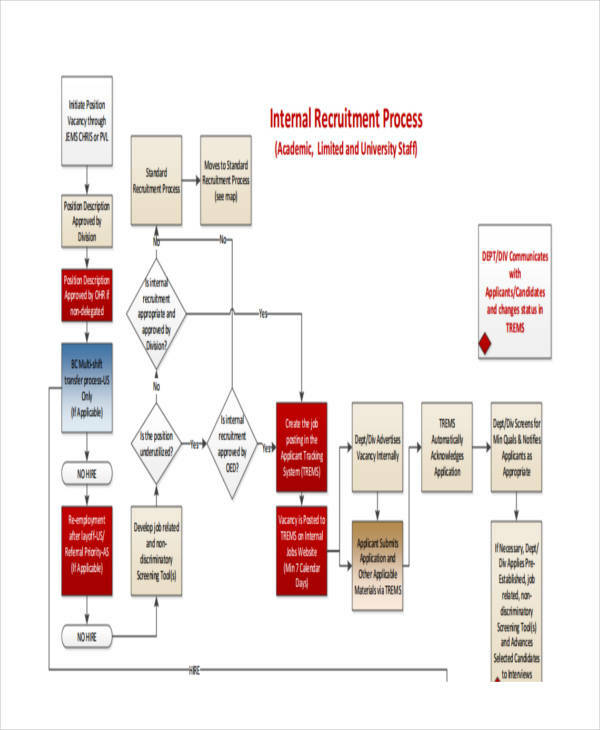 The purpose of a flowchart is to illustrate a solution model to solve a particular problem and allows anyone to read the diagram logically to follow it from the start to finish. 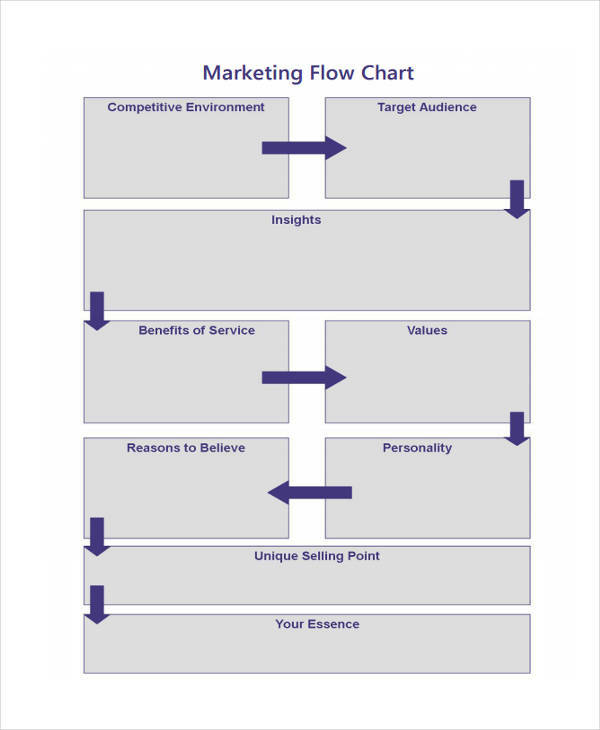 A flowchart is an essential tool, especially in business. It provides a series of an action plan to achieve the business objectives. 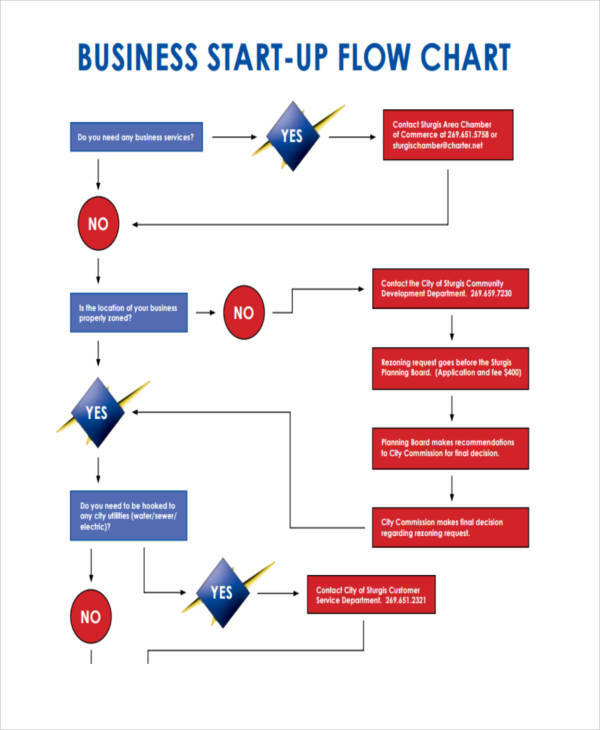 To know more about the uses of a flowchart in a business, you can check out our business flow chart examples here. 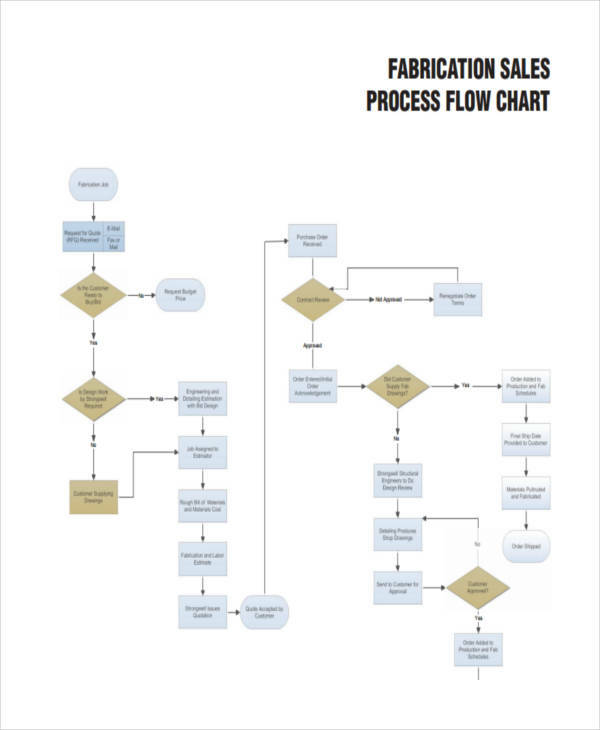 When a flowchart is designed well and constructed properly, it will communicate the process more effectively and efficiently. To create a flowchart, it is best to keep in mind to focus on a couple of things. 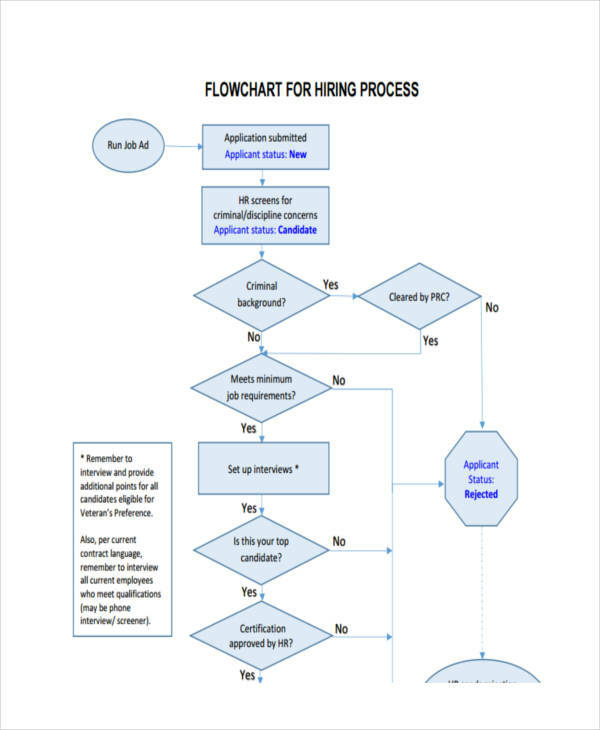 When creating a flowchart, you must first determine the purpose of your flowchart. 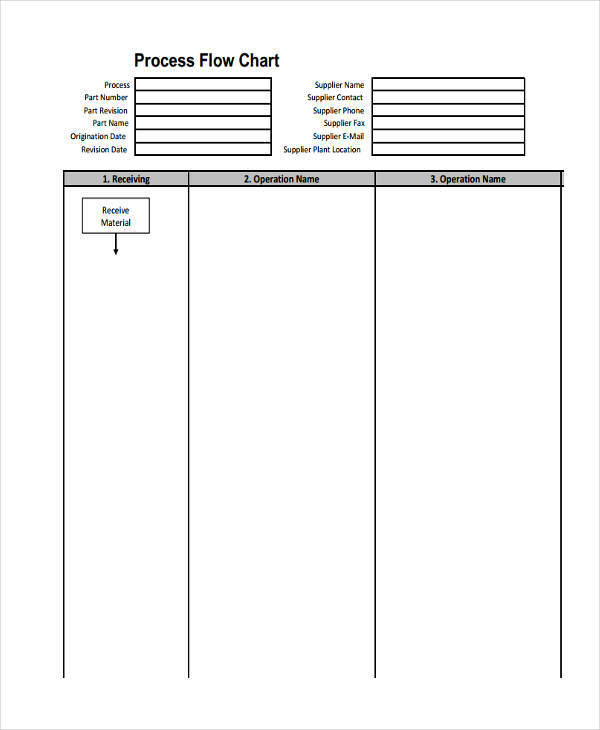 Add a series of steps or actions, put in the boxes, and connect them with arrows. Add decisions or split paths. Show any loops back to previous steps. You can get all of these in our basic flowchart examples here. 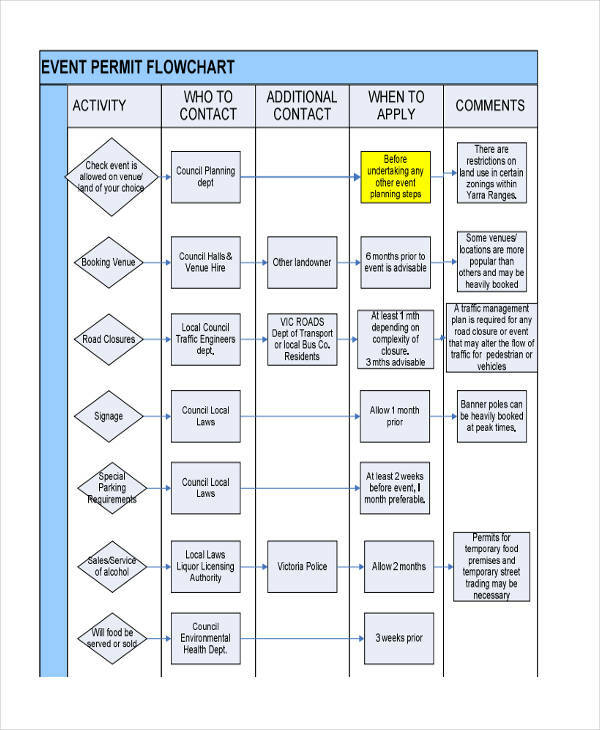 A flowchart is the best way to communicate the process very effectively. 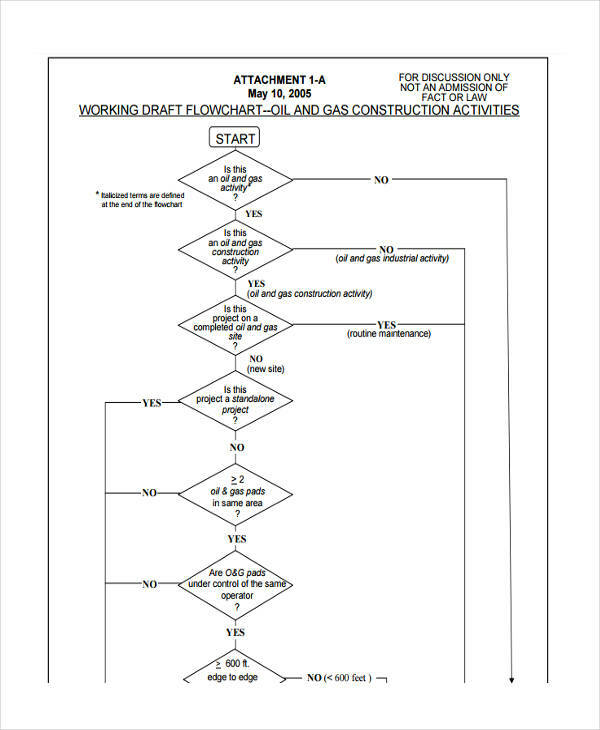 However, creating a flowchart can be quite hard to do. 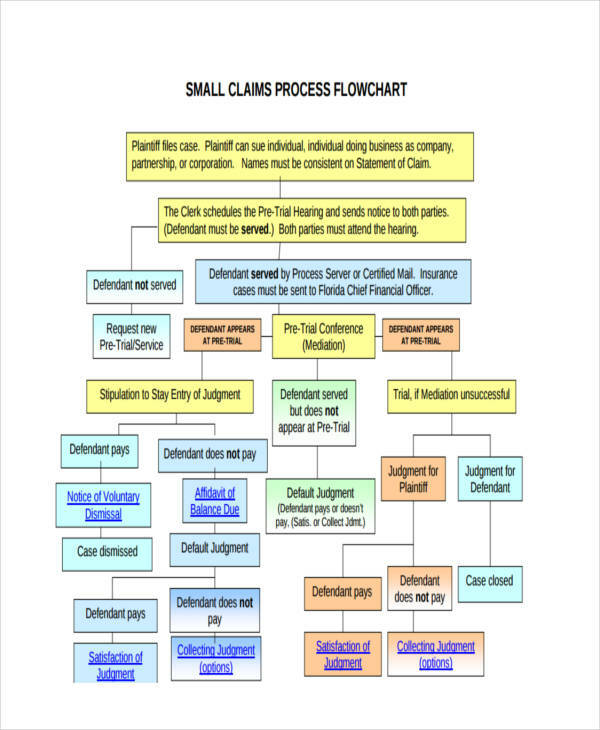 If not properly structured, it will result to a confusing and misleading flowchart. 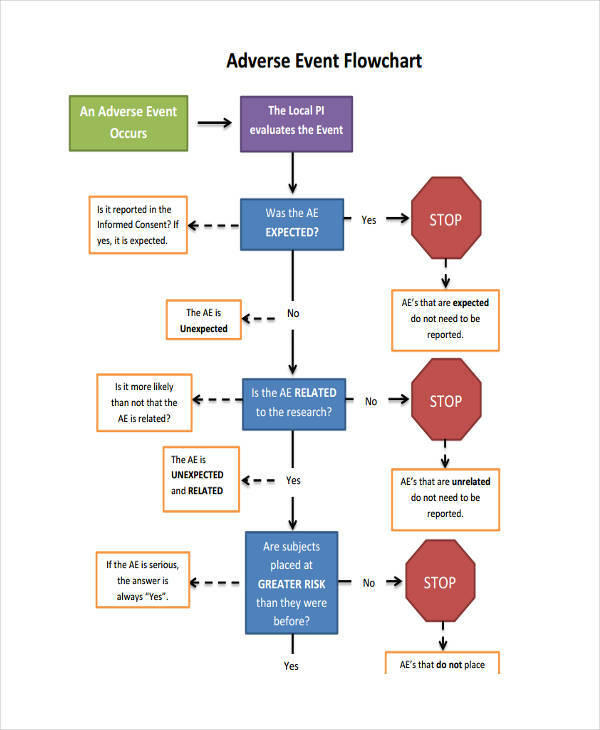 Always keep in mind that the flowchart should always be easy to understand. 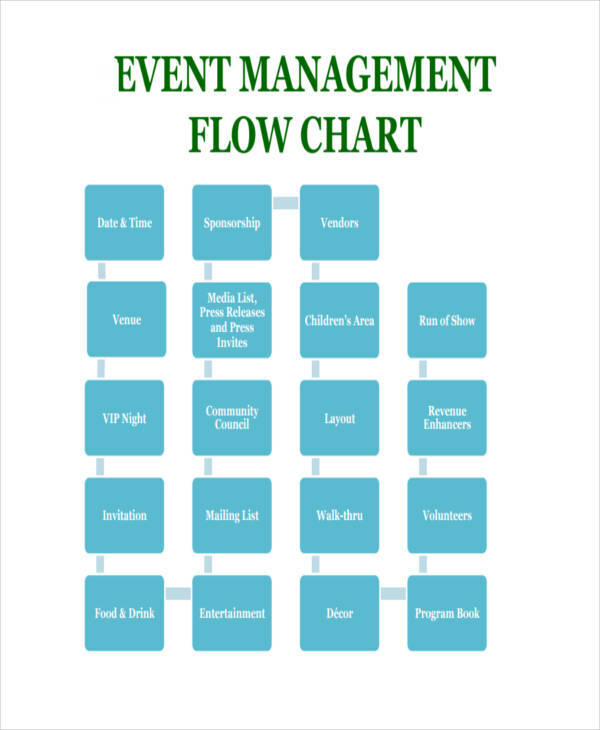 Here are few basic and fundamental tips in creating an effective flowchart. 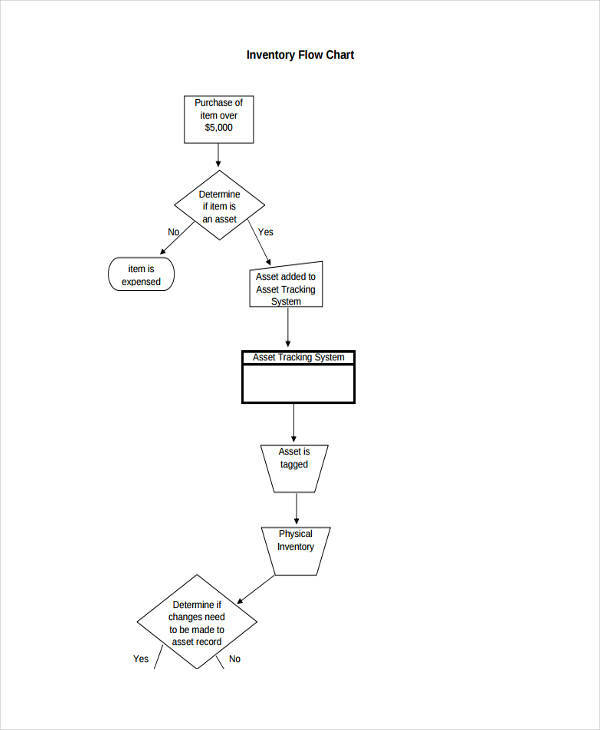 Create a flowchart in a single page. This is very important to consider. 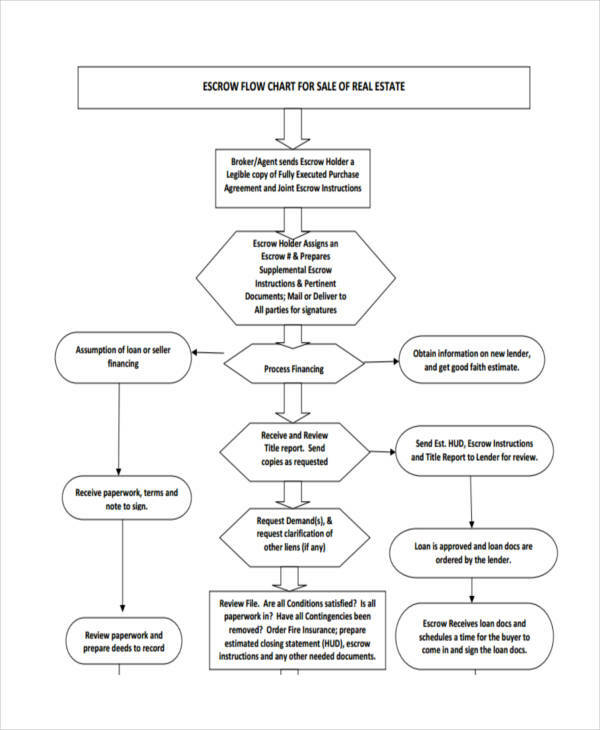 It is best to create a flowchart that fits on a single page (or a computer screen) and the text is still readable. 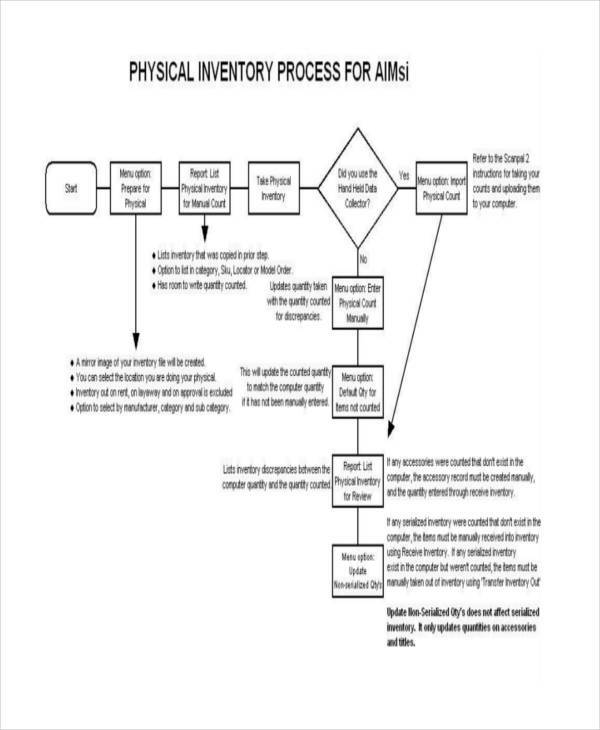 The purpose of this is to make the flowchart understandable and can only be read in one single sighting. 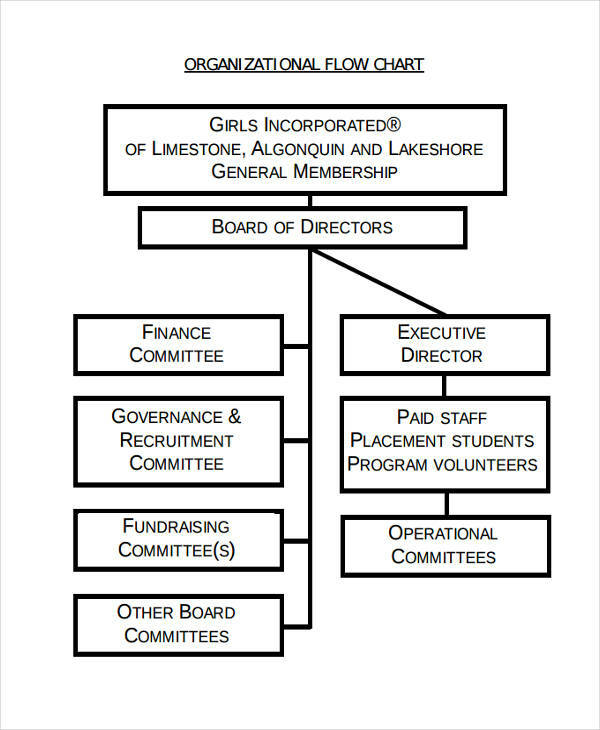 However, when your flowchart becomes too large, it is advisable that you divide it into multiple parts. Be consistent in your design elements. This includes the shapes, lines, arrows, text and colors. 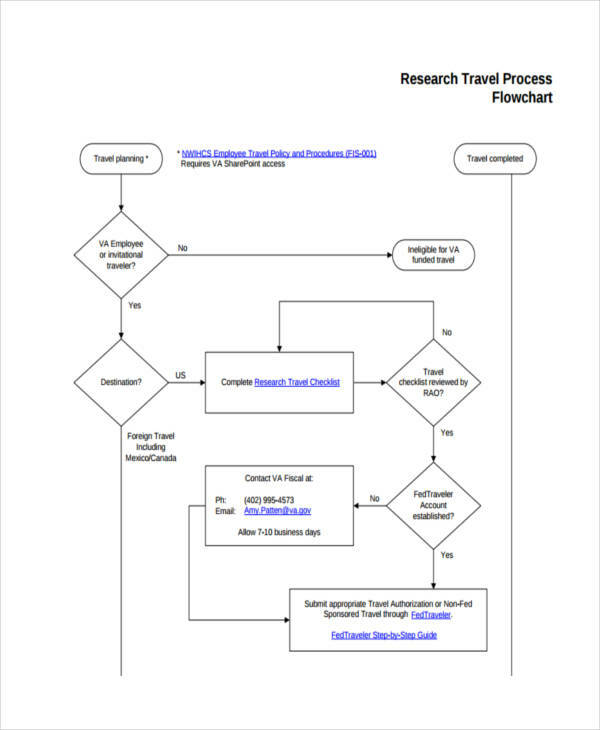 The flowchart will look more professional it uses consistent design elements and can minimize unnecessary distraction and will make the process easy to follow. And when in it comes to the color of the shapes, make sure that the color does not overwhelm the process and the context of the flowchart. 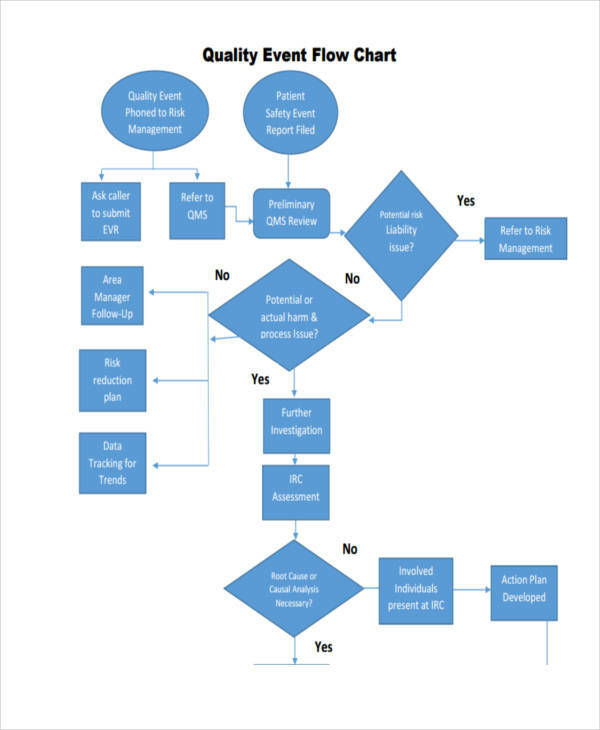 Do not overload your flowchart with too much information. It will make your flowchart messy and full of irrelevant information. The technique here is to include only the information that is necessary to the flowchart, crash out information that will still make the flowchart understandable even without those. 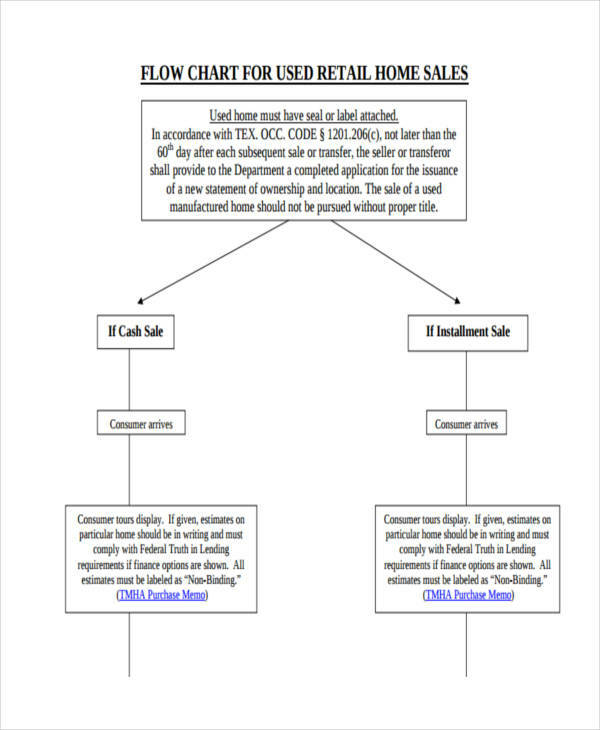 When creating a flowchart using software tool and presenting it through online, it is best to use hyperlinks. Be creative in creating your flowchart. 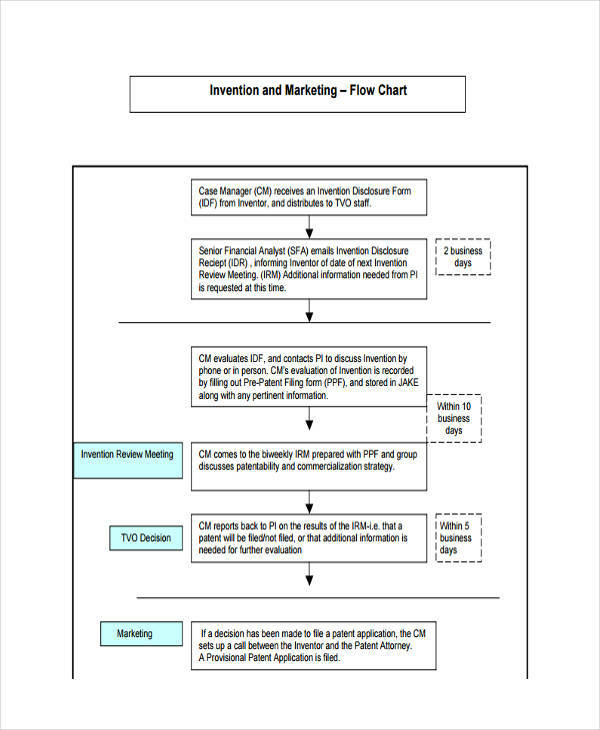 Although it should be formal and professional, one good reason why most flowchart is effective it’s because of its creativity. 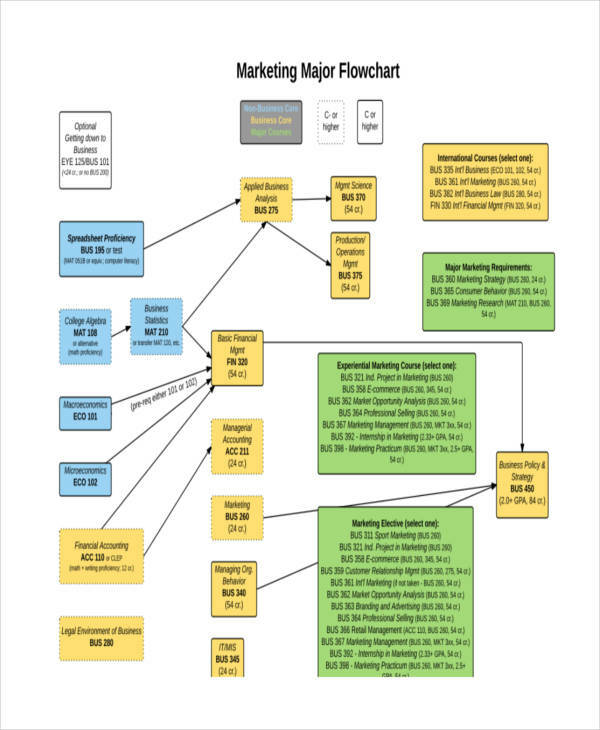 It’s not about putting tons of design and color to it, it’s about the how you will make your flowchart standout among the rest. 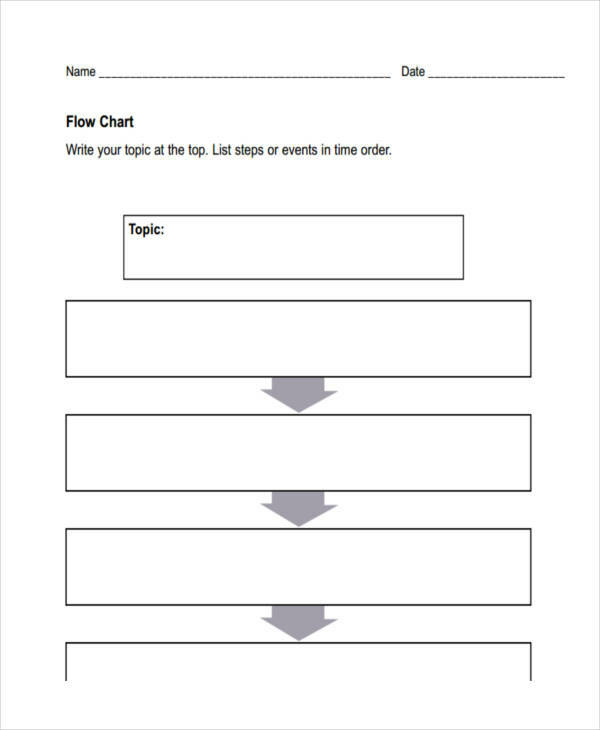 Get all the tips you need to create an effective flowchart in our flow chart in PDF examples here. 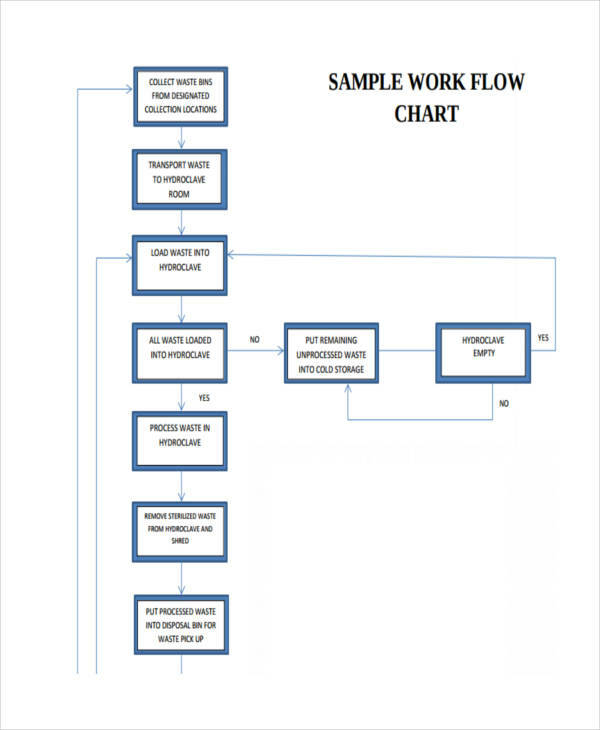 The key component in creating a flowchart is through the use of flowchart symbols. The flow chart symbols represent different types of actions or steps in a process. Here are the basic symbols and shapes used in common flowcharts. Terminator – an oval shape that represents the start and end point of the flowchart. Connector – the lines and directional arrows that show the sequence and steps and the relationship between the steps. 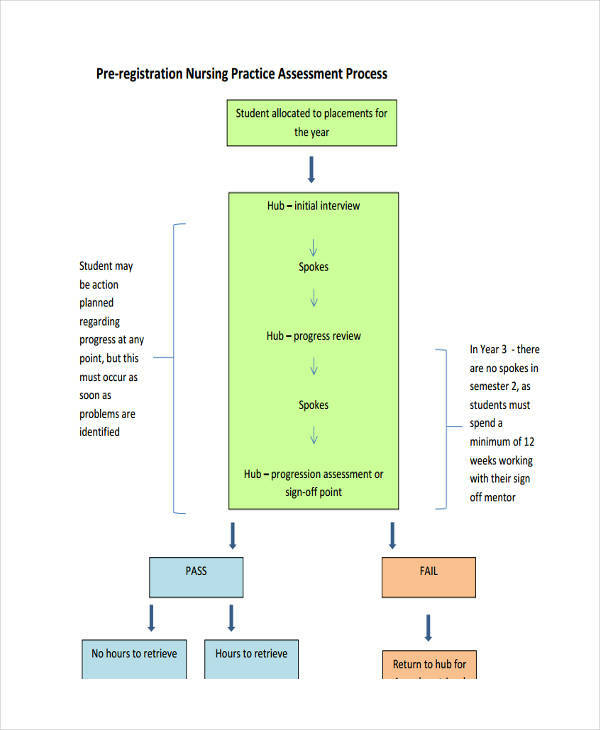 Process – a rectangle shape represents the process involves in the flowchart. Decision – a diamond shape that indicates the decision in the flowchart. 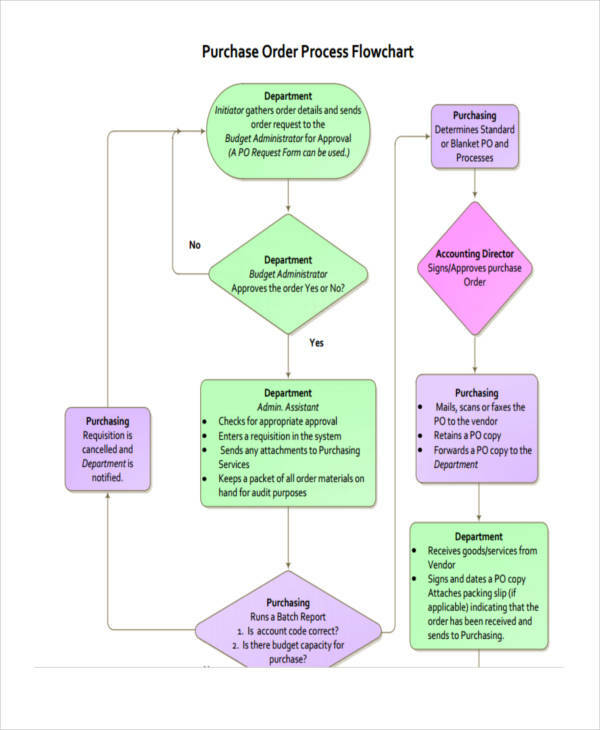 A workflow and flowchart are different from one another. The only resemblance of these two is that it illustrates the flow or process of something. 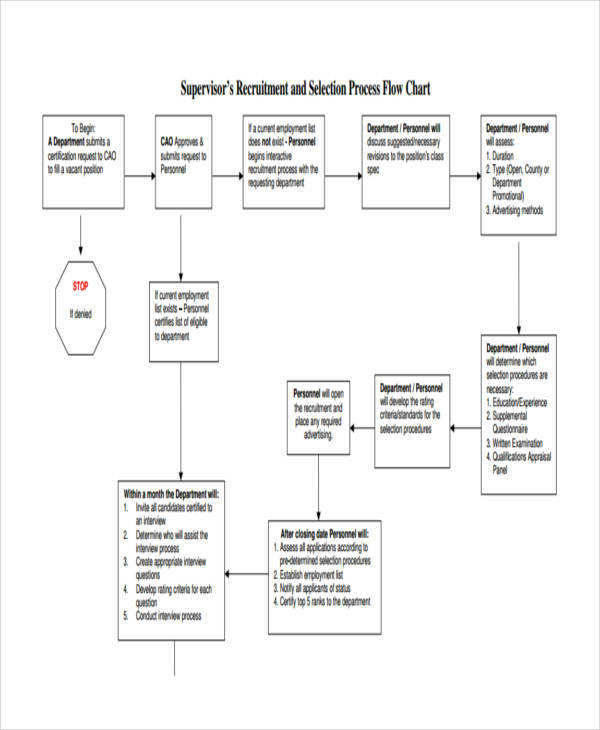 A flowchart, as mentioned above is a series of steps or actions that are followed to solve a problem or to analyze a subject. 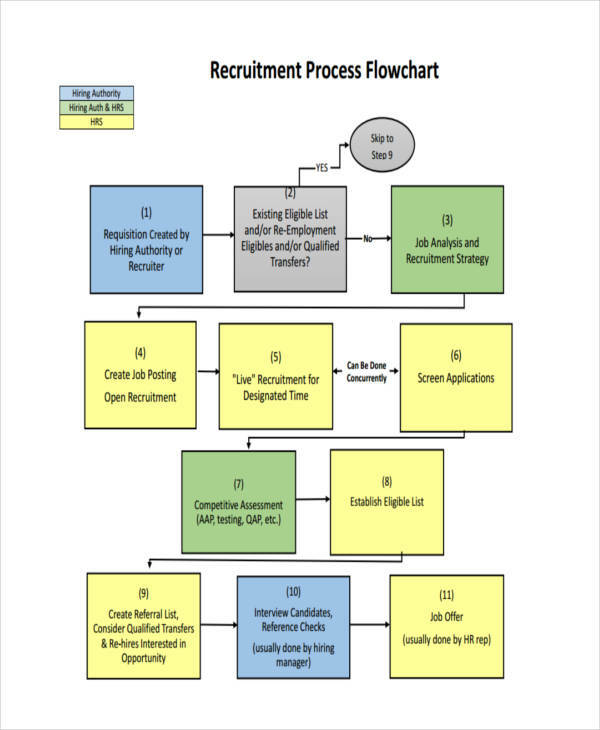 The steps in a flowchart are enclosed in a box and connected by arrows. While a workflow is a definition of a process through which a work must pass to the beginning until it reaches to the completion stage. 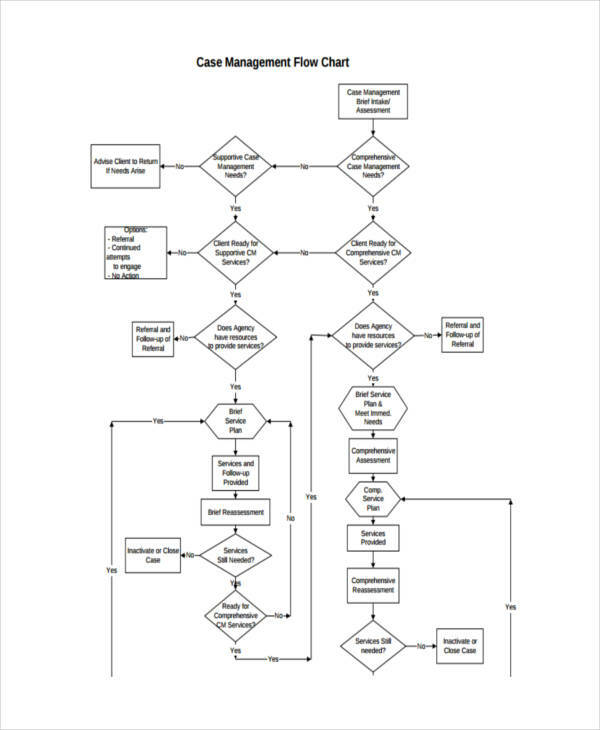 So, you can describe a workflow by using a flowchart. 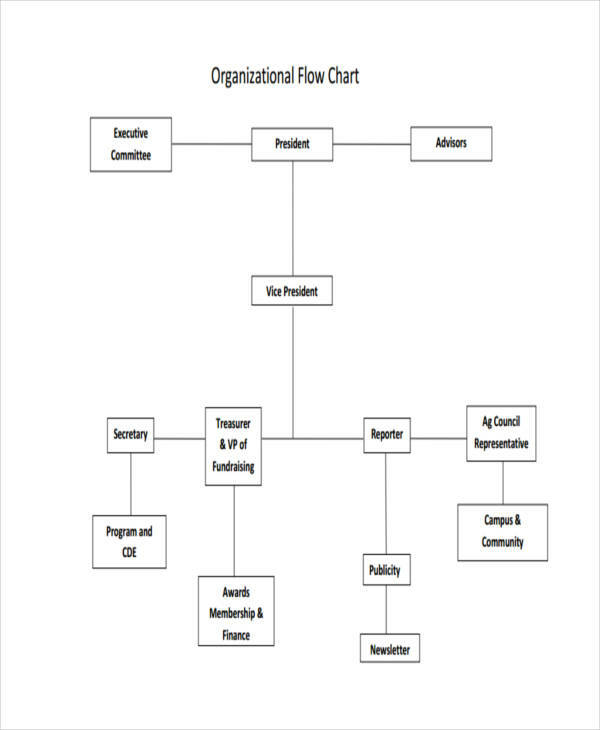 Now you know the definition of a flowchart, the symbols used in the diagram, and the tips in creating a flowchart, It is time for you to know the basic guidelines for creating it. These guidelines are followed in almost all kinds of a flowchart. 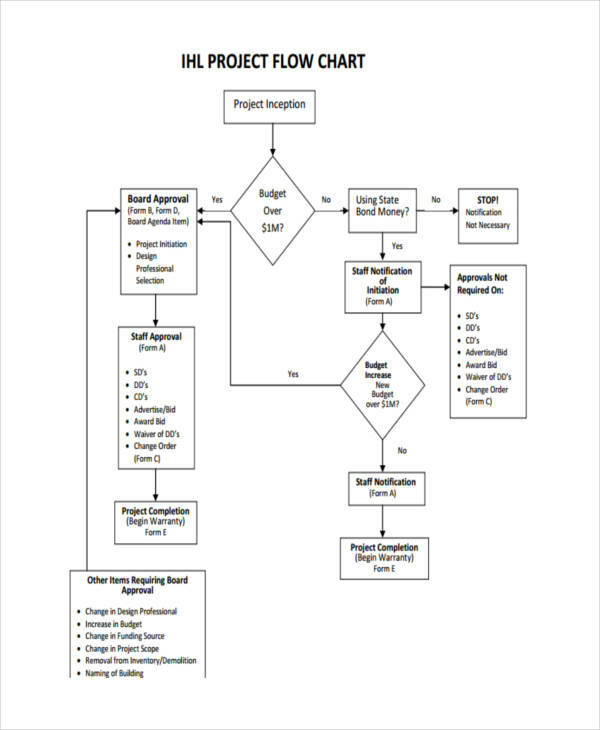 The flowchart should be divided into two columns. The internal entity and the external entity. 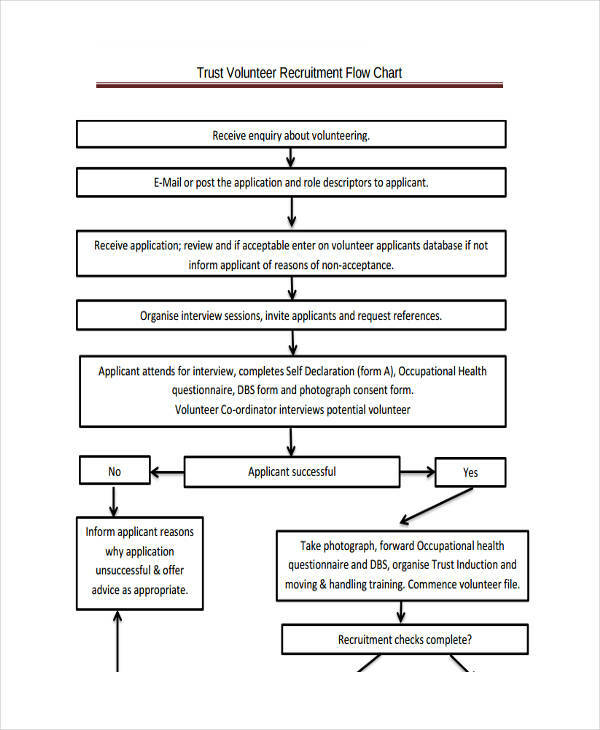 The flowchart should be laid out so that it follows the activities from left to right. The logic of the flowchart should flow from top to bottom and left to right. When creating the steps, actions, and process, it should be inside with appropriate symbol. Use arrows to connect the symbol for clarity. 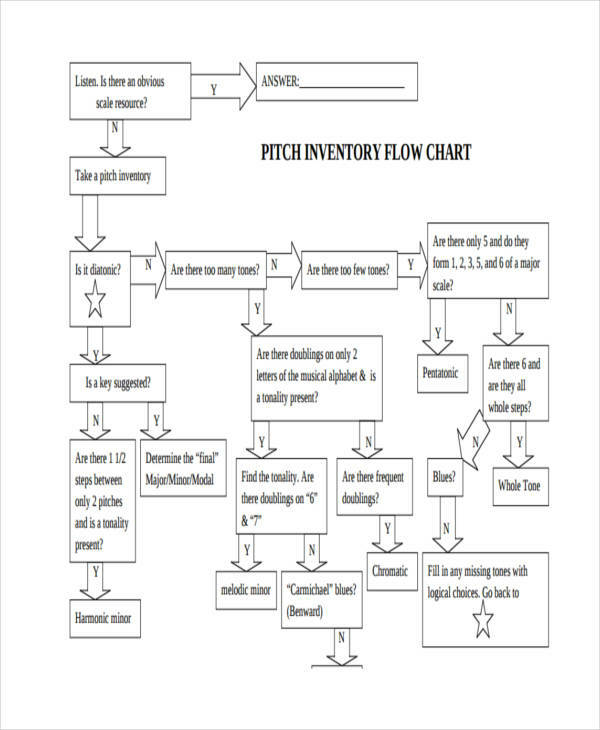 Always keep the flowchart in one single page. If it is too large, you can divide it into multiple parts. 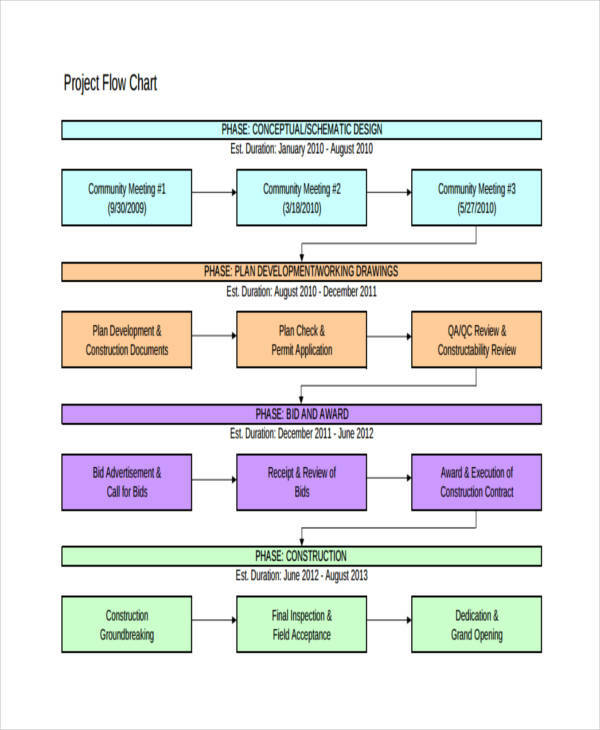 In presenting the flowchart online, use hyperlinks to connect the parts. 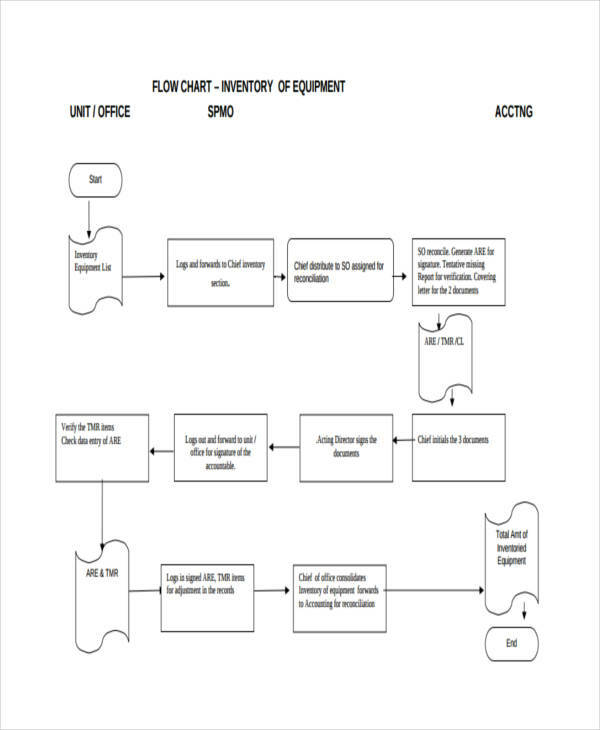 Show a document at both ends of the flow line. If the flowlines connection is too short and the intent is uncertain, you may not need to document it. 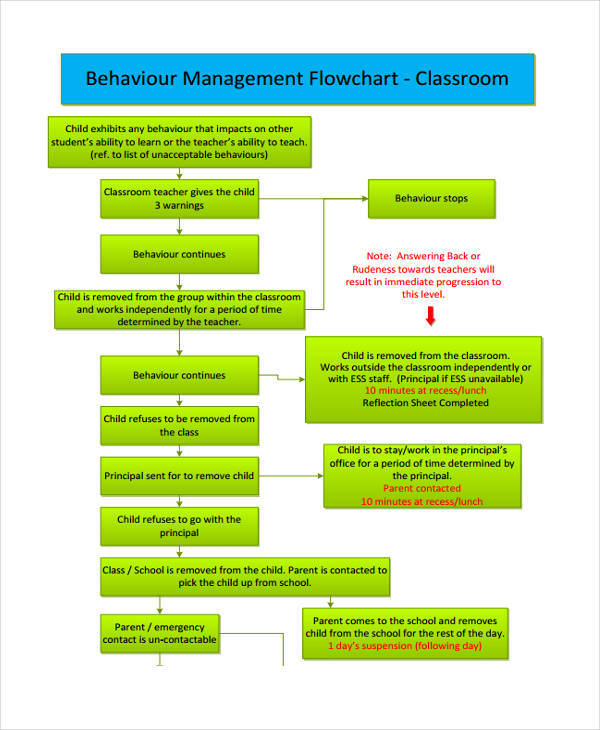 To help you in creating a more effective flowchart, you can download our examples here and make it as your guide. 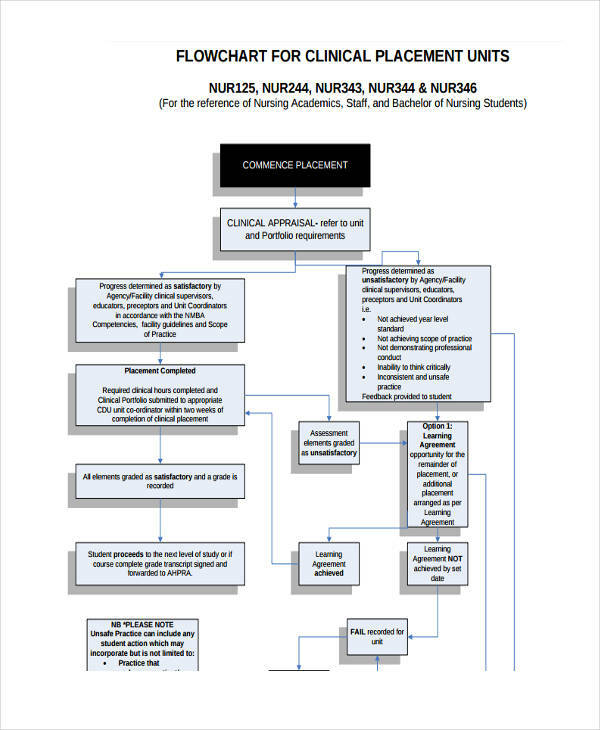 We also have nursing flow chart examples, event flow chart examples, and other kinds of flowcharts here.